Before it’s even officially open, we have a really good look at Hasbro’s display space at New York Toy Fair 2019! It’s been a busy few days for fans of Power Rangers. With New York Toy Fair approaching, followers of the brand were excited to find out just what exactly Hasbro had planned for us in their first foray into the Power Rangers universe. We already saw early previews of the Zords and 6″ Figures this week, and the Lightning Collection yesterday, but now there are even more news items to digest, as well as a good look at the toys on display. Overnight, the first of the new Lightning Collection figures was made available for preorder in the United States at Hasbro’s new collector hub, Hasbro Pulse. Our first featured Ranger is the Red Ranger from Power Rangers Dino Charge. As you can see from the gallery below, the figure comes bundled with weapons, hands and a swappable head in the likeness of Tyler, played by actor Brennan Mejia. The US retail price is $19.99 and is expected to be £19.99 in the United Kingdom, too. Inside the display space, we get our first look at… well… everything! First up, are the 6″ line of action figures from the upcoming Beast Morphers series, which debuts March 2nd in the United States. We had already seen and fallen in love with these figures. In a 6″ scale, they will match up nicely alongside the Lightning Collection and even it’s predecessor, Bandai America’s Legacy line, which only came in at roughly half an inch more in size. At the back of the display, we also get a preview of the packaging. Each figure is bundles with at least one weapon, as well as a key for the Beast Morphers’ Morpher. Affectionately known as ‘nutcracker’ figures, Hasbro will also produce a small 12″ line of figures for Beast Morphers. The Red and Blue Rangers, as well as Blaze, are available from April, while Silver and Yellow will wait til Autumn for release. We already knew about the Wild Force Megazord and Red Dragon Thunderzord coming in this line (not pictured here) but that was not all for the Playskool line of toys for smaller children. 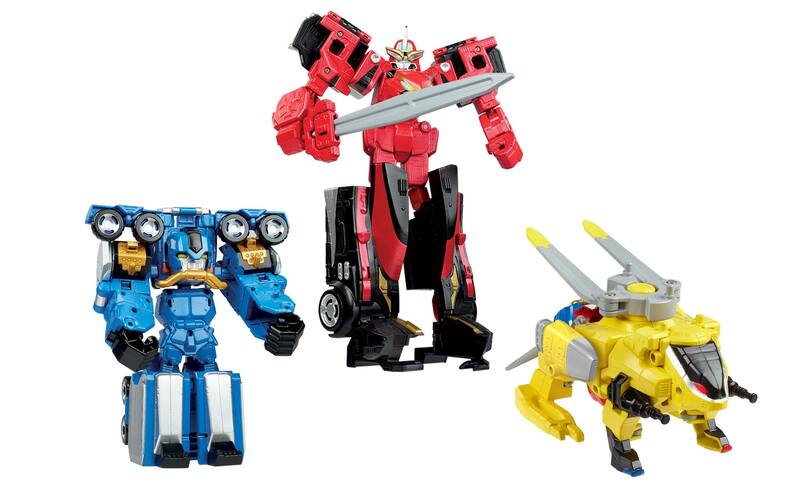 Playskool Heroes feature Zords are to be produced, starting with reproductions of further mecha from Power Rangers Wild Force and also the dinosaurs of Power Rangers Dino Thunder. Alongside those Zords, Mega Mighties of complimenting Power Rangers will also be released in packs of two. First revealed late last night, the outside of Hasbro’s Power Rangers space gave us a rare treat in a look at the beautiful Dino Megazord from Mighty Morphin’ Power Rangers. A plaque alongside the Megazord reveals that this is the original prop from the 1993 series but, according to fans and experts on various forums, that isn’t strictly accurate. While the base of this Megazord may indeed stem from the original filming of Zyuranger, the suit had to undergo significant repair to be useable again and, as such, you could argue that so much has been changed that this is not the original suit. This suit was used by Toei Company in the filming of Tokumei Sentai Go-Busters vs. Kaizoku Sentai Gokaiger: The Movie and later found its way into the, now closed, Toei Hero World Museum. Over on our Facebook page, good friend of Toku Toy Store, Stu Hix, noted the blemishes in the suit that proved it was one and the same from Hero World. On the other side of the entrance, far left, is a small display of items produced by third-party manufacturers. That’s it for now! Keep eyes here at Toku Toy Store for further news and updates, as well as the new toys from Hasbro when they become available from April 2019! What is your favourite new toy reveal? Which items will be coming home to your collection? Join the conversation on our social media pages! Source: The Toy Book/The Rockfather, Hasbro Pulse. 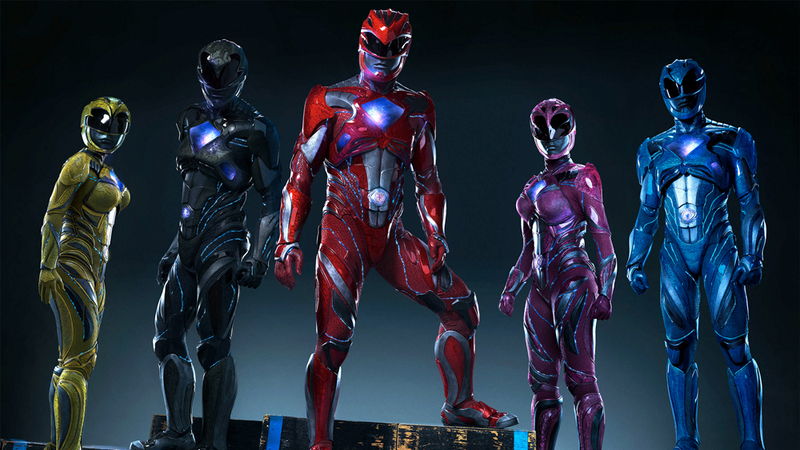 The Power Rangers franchise is taking another shot at live shows. 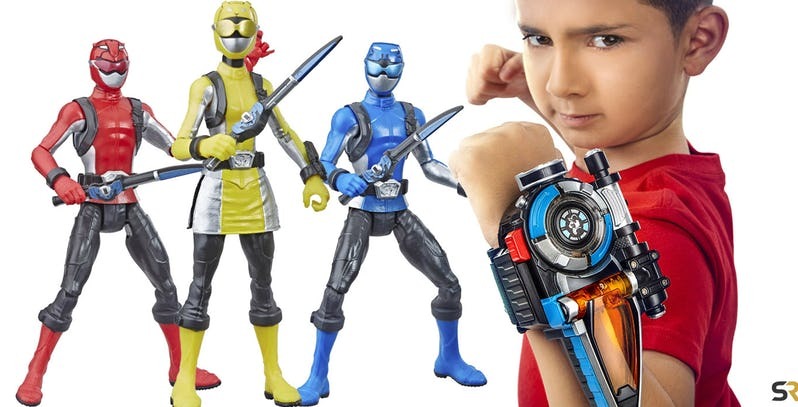 Amongst the new toy and Beast Morphers premiere news today, Hasbro have announced a new partnership to create a new series of live stage shows across the United States and Canada. This marks the second time in the last few years that a live Power Rangers tour has been announced with the first, under Saban Brands, being cancelled during the run up to the first event. 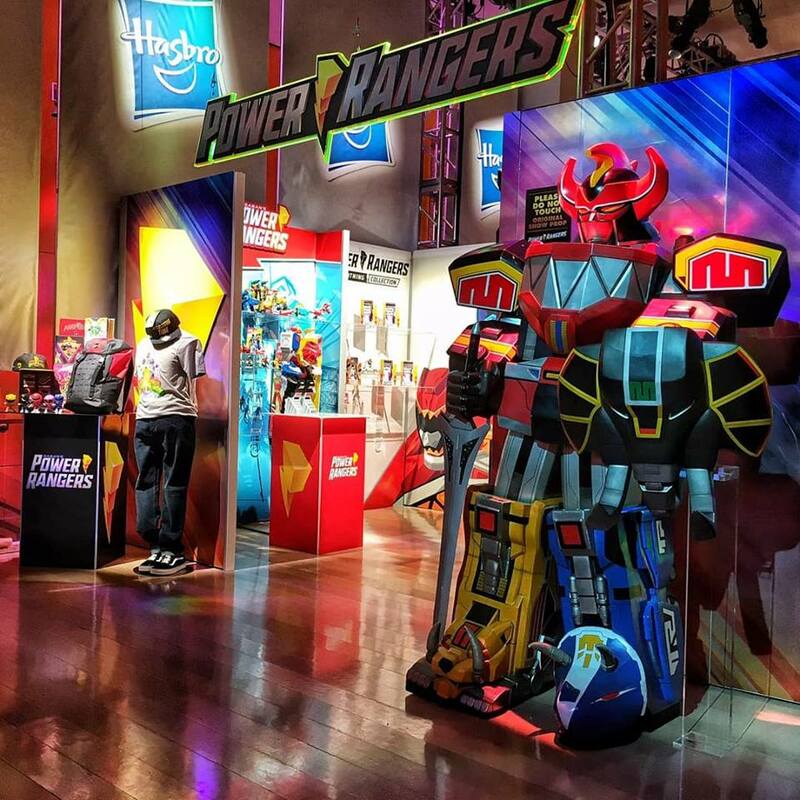 PAWTUCKET, R.I. (FEBRUARY 15, 2019) — Los Angeles-based Kilburn Live and Hasbro, Inc. (NASDAQ: HAS), a global play and entertainment company, announced today that Kilburn will produce and tour a live stage show and fan experience featuring Hasbro’s POWER RANGERS across North America. The POWER RANGERS live show will expand the POWER RANGERS storytelling with a live stage experience intended for Power Ranger fans of all ages. Kilburn will be partnering with Koba Entertainment, a leading family entertainment live touring company, on the North American tour. Tour dates and cities will be announced later this year. Stay tuned to Toku Toy Store for updates as they become available. Would you like to attend a live Power Rangers show? What cities in North America are you hoping for? Sound off on our social media pages! BOOM! Studios brings fans another new Power Ranger in their newest outing for fan favourite Tommy Oliver in Power Rangers: Soul of the Dragon! The latest graphic novel to be released by BOOM! Studios will see an adult Tommy Oliver go out on a quest to find his missing son, JJ Oliver, a cadet within the ranks of S.P.D. In Tommy’s quest to find his missing son, a new Power Ranger will be created. The graphic novel is written by veteran Kyle Higgins and will be a nice surprise for fans. Spoiler warnings for what is ahead. 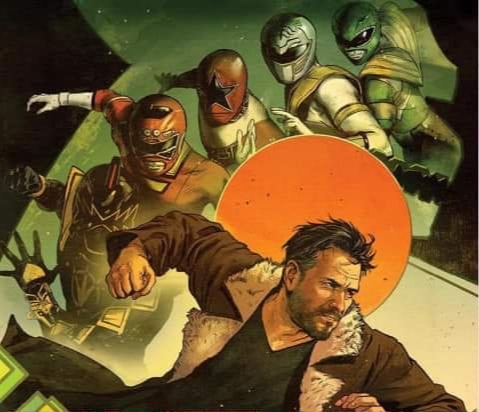 As a young adult, Tommy Oliver set upon a journey that would inspire hundreds of Power Rangers that would come afterwards, thwarting evils like Empress Rita Repulsa, Lord Zedd, and King Mondo of the Machine Empire. Now, Tommy’s retired with Katherine and leaves protecting the world to Space Patrol Delta–including his son, JJ. But when Jake disappears, presumed dead after an undercover mission goes wrong, Tommy will call on all his training, his friends, and maybe even some of his enemies as he sets out on one last mission: find his son and bring him home. From writer Kyle Higgins (Mighty Morphin Power Rangers, Nightwing) comes the final story for history’s mightiest Power Ranger. In the series, we will be starting with JJ Oliver as a cadet in the ranks of S.P.D but at the end of issue one, he replaces Bridge Carson as the S.P.D Green Ranger when Bridge gets promoted to Red Ranger (see Once A Ranger….). In a rather surprising twist however, JJ finishes the story arc by morphing into action as the S.P.D. Green Ranger – but not quite the same suit. The final panel of the book sees the S.P.D. Green Ranger with the Mighty Morphin Green Ranger’s iconic Dragon Shield. With the creation of this new S.P.D Green Ranger, Tommy, 25 year legacy is finally complete with him finally passing the Dragon Soul onto his son. For fans, this will be the first time the Dragon Shield can be seen on any Power Ranger suit outside Mighty Morphin Power Rangers. This also continues the mythology for Power Rangers S.P.D. taking the team to new heights. Commander Cruger now runs S.P.D. after Commander Birdie’s retirement, Sky Tate has filled Cruger’s spot as base commander and filling the void as Red Ranger is Bridge Carson, with JJ Oliver now taking over as Green Ranger. It is assumed that Syd Drew and Z Delgado remain as the team’s Pink and Yellow Rangers respectively. The only unknown Ranger on the team now is S.P.D Blue. What do you think of the fact Tommy has finally passed on the Dragon Shield? Do you think this really is Tommy’s last outing as a Power Ranger? Let us know on our social media pages! BOOM! Studios are set to introduce us to the newest team of Rangers: Power Rangers Supersonic! Just recently, a brand new team has been added to the Power Rangers mythos thanks to BOOM! Studios via Mighty Morphin Power Rangers Year Two. If the team looks familiar to you then that would be because they are being adapted from the Super Sentai team, Chikyu Sentai Fiveman, which aired all the way back in 1990. They are one of the many unadapted Sentai teams that came before Kyoryu Sentai Zyuranger, known as Mighty Morphin Power Rangers overseas, thanks to Saban. During the storyline, the team’s sixth Ranger, Trek, becomes jealous of the romance between fellow Rangers Ace and Star, which will lead him to betray the team, using an explosion to kill them. In response to that event, he submits to Dark Specter, returning from Power Rangers In Space, who rewards Trek by turning him into the Green Psycho Ranger we all know, giving the villainous Ranger an origin story. 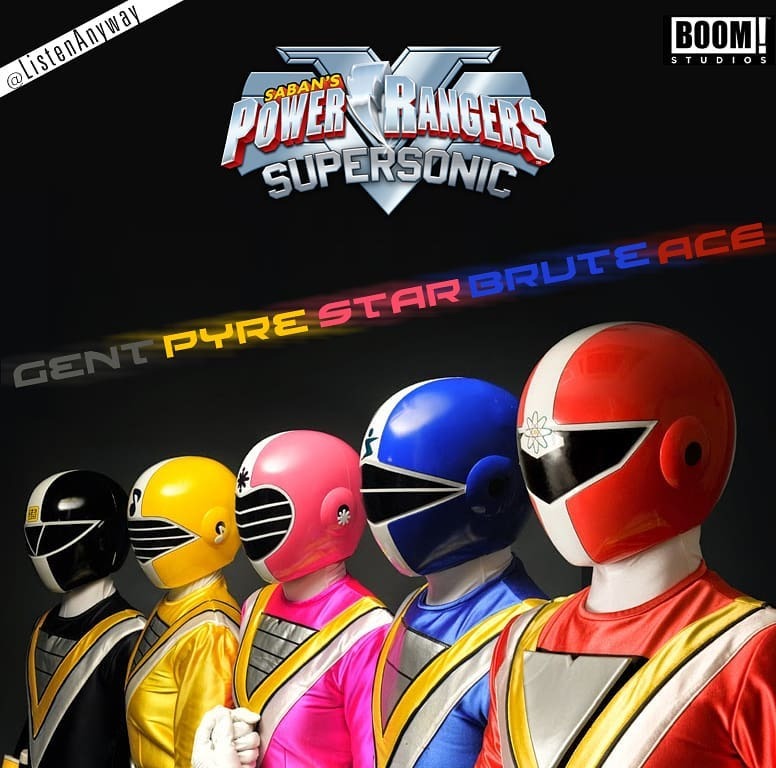 The introduction of the Power Rangers Supersonic team may make fans of both Super Sentai and Power Rangers wonder if BOOM! Studios plans to introduce any other teams from before Kyoryu Sentai Zyuranger. 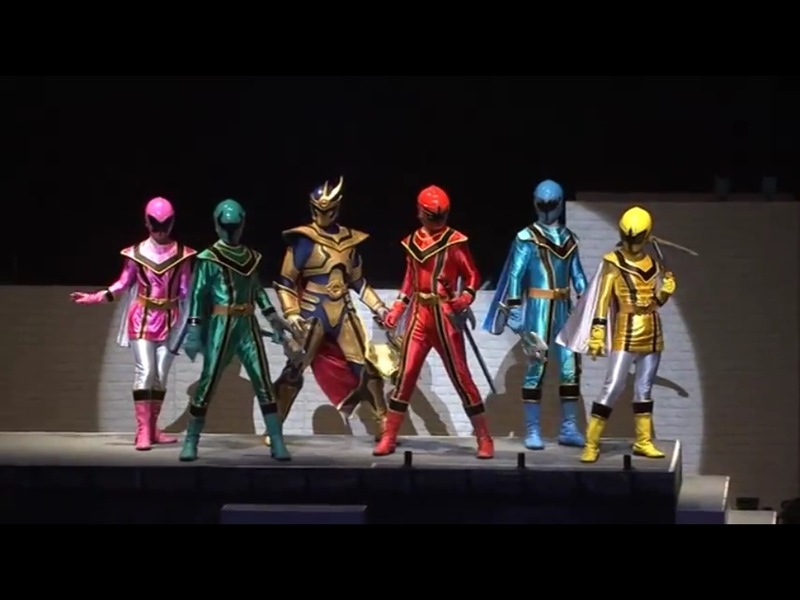 Other potential teams that got names in Power Rangers Super Megaforce include Power Rangers Prism (Choushinsei Sentai Flashman), Power Rangers Dragon Blitz (Dengeki Sentai Changeman), Power Rangers Lightning (Hikari Sentai Maskman), and Power Rangers Squadron (Gosei Sentai Dairanger). The story for BOOM! Studios will be written by Trey Moore. In Chikyu Sentai Fiveman, the Rangers are all school teachers and their forms are all based on different school subjects. The Red Ranger is Science, Blue Ranger is Physical Education, Black Ranger is Modern Foreign Languages, Yellow Ranger is Music and the Pink Ranger is Maths. It is unknown at this time whether that will play into the backstory for the Supersonic Rangers or whether they will have any further appearances in the comic book series. 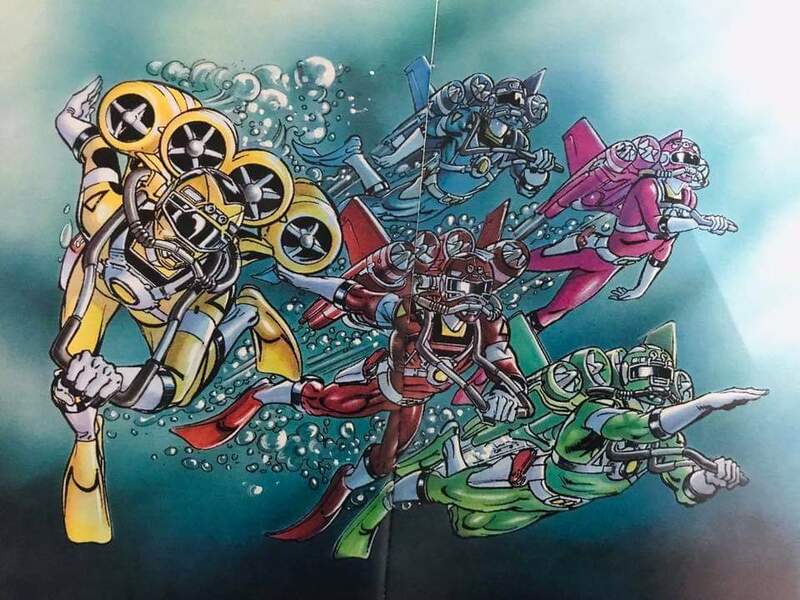 What do you guys think of a Super Sentai team being adapted via the comic books? What other Sentai teams would you like to see BOOM! Studios adapt next? Join the conversation on social media! The day has arrived; the ultimate marketing synergy of Power Rangers and Street Fighter collides in a wholly original short film produced to advertise the Power Rangers: Legacy Wars game. Earlier in the year, we saw that this short was going to be a thing and who better to produce it than Bat in the Sun, the production company behind the internet series Super Power Beatdown, which has had two Power Ranger focused episodes (both starring Jason David Frank, who’d have thought). The story is pretty much the new plot for the game with a hint of Dimensions in Danger, with Bison and Rita joined forces and created powerful clones of the Power Rangers that are in the Legacy Wars game. It’s bare bones but just enough to justify a video game or an internet short. The fight choreography is on par with Bat in the Sun’s previous efforts. Impacts are hard-hitting and the energy effects are pretty solid for this budget. The Ryu Ranger costume is very nicely rendered for live action too, and fits the MMPR aesthetic very well. It’s just a shame they contrived a reason for Chun-Li not to get a power coin because she looks kinda silly in the big hero shot. Shout out to the music composer too, bringing in a fantastic remix of the Go Go Power Rangers theme. Overall, it’s a fun little 8-minute romp for a game advert and I’m sure we’ll be seeing a follow-up if there’s enough interest or another major character update (Chun-Li Ranger?). What were your thoughts on this short? Did you have fun? Want to be nit-picky about power scaling in this short? 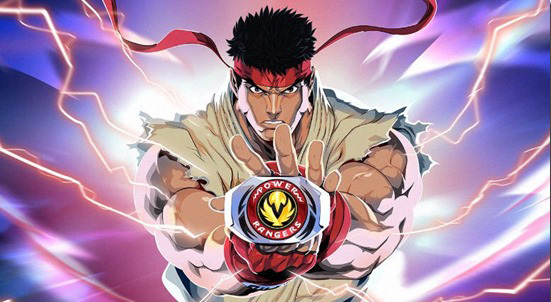 Know how much meter Ryu burned over the course of it? Let us know in the comments below!